Jabra GN1200 CC - 88011-99 - Headsets Direct, Inc. 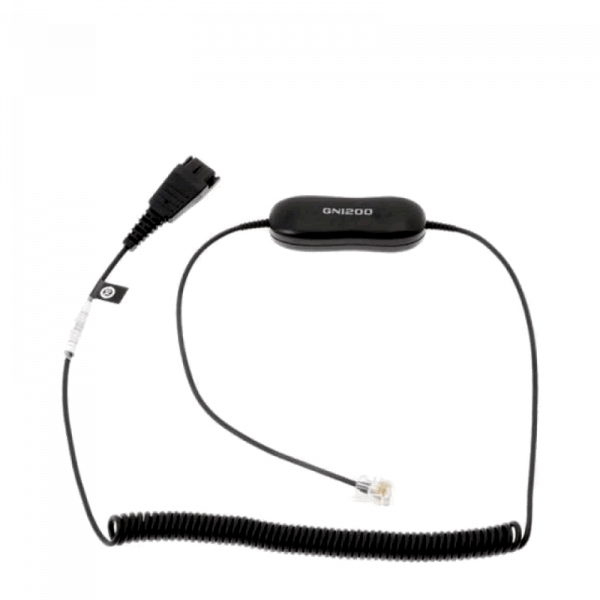 The Jabra GN1200 CC smart cable connects Jabra headsets to most business phones with standard RJ9 headset ports. With 8 different wiring schemes, you can quickly slide from one position to the next until you find the optimal setting for your phone. Three of the settings offer microphone amplification. The Jabra GN1200 cord is the solution to a common problem of not being able to connect the headset and telephone. Even though most things have been standardized, the cord connecting the phone with the handset or headset is anything but standard as each telephone manufacturer has its own wiring code. Now, with the universal “smart” cord, Jabra GN1200, the cord will work with virtually any phone providing greater convenience. When hooking up a new headset there is not always a dial tone. The problem could be the headset or the telephone. But chances are it is the cord. Even though the headset and telephone may be plug-compatible, the wiring is determined by the individual telephone manufacturer. Jabra GN1200 features eight separate wiring schemes – including three with built-in microphone amplification. 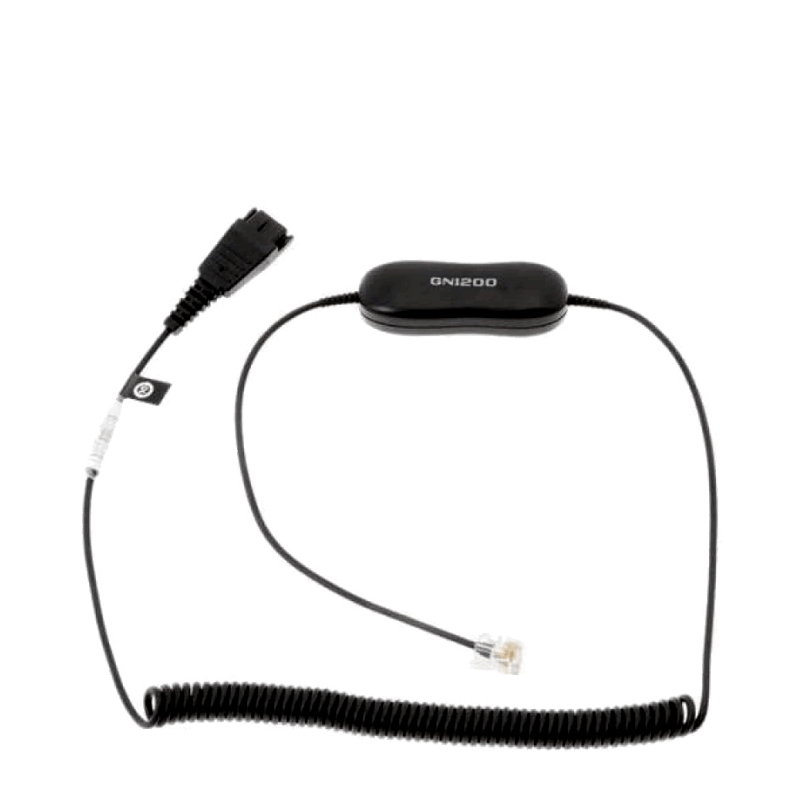 Just connect the Jabra GN1200 and headset through the Quick Disconnect plug and flick the slider from one position to the next until a dial tone is heard. It’s as simple as that!